Missing a shot because of miscalculations of the yardage makes you appreciate the importance of the speed of your arrow. Speed is essential in bowhunting. The faster you get, the more chances you will have to hit your target a few more yards away. Show some guys your bow and the first thing they’re going to ask would be “How fast does it shoot?” Some people might claim that they don’t really care about how fast it could get, but the market trends don’t lie. New arrows that have fast bow performance and speed-boosting gadgets are there to give you the shooting experience that you wanted. But, what are the other techniques in speeding up bow response? Here are some tips that could benefit your bowing performance. The farther you draw from your bow the more energy you put in it. The more kinetic energy on the released bow, the faster the speed. Though increasing your distance from the meat brings speed advantages, you can’t do it carelessly. It has to be done perfectly careful. To find the maximum draw length without losing your aim with your target, you’ll be needing a friend and a mirror to assist you. First, you need to find your optimal anchor point. Put your release hands in position to stimulate your point. Your forearm must be perfectly line with an imaginary line, but you must move the anchor point forward and back to get the accurate position. If you’re drawing too far, your elbow will point to the left and if not, your elbow will point to the right. If you are shooting an aggressive cam, it will increase you speed as much as 3 – 3.5% for each additional draw length. But if you are shooting with the lightest equipment, then your bow handle could still increase your speed approximately 2.5% per inch of the length added. 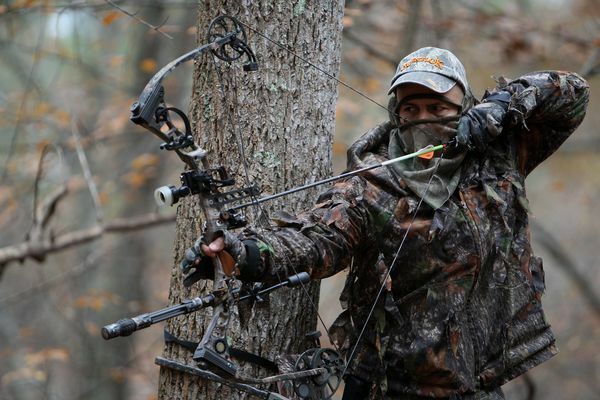 Choosing the perfect arrow for you and your bow is one of the key to your hunting success. The arrow must have the right length and should be stiff enough as it flies off from your bow. All bows and arrows have a certain “sweet spot” that you should find. To find it, you need to experiment. Try other arrows, fletching styles and even point weight that might suit you. When you already found your arrow’s “sweet spot”, it will be easier for you to shoot as you will increase the arrow’s front of center. Front of center describes how much the arrow totally weigh and it is located in the front half of the arrow. The heavier the weight located in the front half of the arrow, the more forward is the arrow’s center. If you don’t know how to calculate your FOC, there’s tons of calculator available online. The debate that has been going on over which is the better arrow – light or the heavy one? – According to Physics, heavy arrow penetrate better. Because when the arrow hits the meat, it will result into a dramatic deceleration. The heavier the arrow, the slower the deceleration and therefore, the better penetration. Boosting your poundage without burdening yourself will increase both your speed and penetration. You need a little time to prepare for this. Build it up slowly. Spring is the perfect time to practice this. Shooting a couple times per week or more will have your draw weight increase a pound or two each month. For reasonable hunting weight bow, a five-pound weight increase will improve your speed for about 10 feet per second. However, too much draw weight isn’t advisable. 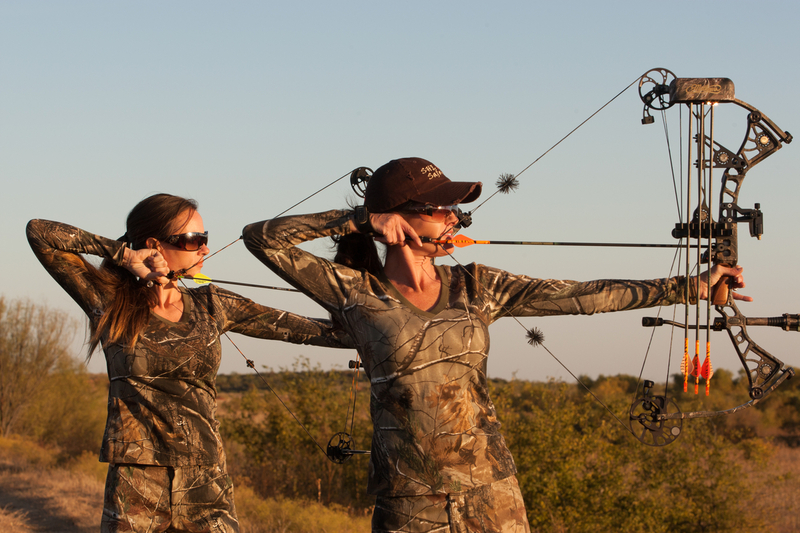 Maximum accurate draw weight lets you draw the bow without having to raise your arms above your shoulder height. Another way to test is draw the bow when sitting flat on the ground and you should be able to hold it at full draw for at least 30 seconds without even shaking. Speed conscious, worrying about a few feet per second might sound very exhausting. But you’ll never know the difference if you haven’t tried it yet. Adding 20% or even 10% to your arrow speed will be worth your time and effort as you will have a better hunting experience. Remember that adding your arrow speed doesn’t mean you can neglect your accuracy. 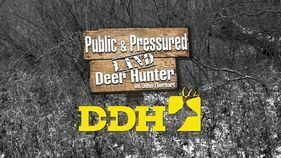 If you combine speed and accuracy is the best thing you can do to be successful in hunting.